Typical. You’re waiting for a big pop single to start the year with and then three hit at once, from four of the biggest women in pop (yes, one track is a duet). Who will come out on top? Premiered this morning on Radio 1, Air Balloon is the next single from Allen’s forthcoming album after 2013’s biting Hard Out Here. And it couldn’t be more different. Where that track was a cutting parody of current music trends and women in modern pop, Air Balloon is its antithesis: nursery-rhyme melodies, silly lyrics and a generally breezy tone that fits with the whole daydreaming theme. Co-written by Swedish songwriter Shellback, it’s all very nice, all very catchy, but it’s a far cry from the sarcastic popstar we’re so used to. “Did I ever tell you my uncle’s monkey ran away from the zoo” is a million miles away from “Lily Allen has a baggy p*ssy”. Let’s hope the album has more of the latter. 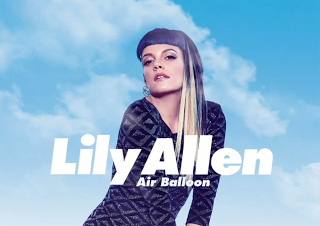 Listen: Air Balloon is released on March 2nd. It’s been a long while since we’ve heard from either Shakira or Rihanna. The last major single from the Colombian star was her soundtrack to the 2010 World Cup, Waka Waka (This Time For Africa) - let’s just forget the horrible Pitbull collaboration Get It Started from 2012 – and she’s since been focused on motherhood. For Rihanna, meanwhile, 2013 was the first year since 2008 without a new album (perhaps something of a relief), though there’s still been room for some filthy videos. Written by Kid Harpoon (whose work includes writing for Florence & The Machine) and Erik Hassle (because all the best songwriters are Swedes), Can’t Remember To Forget You in theory brings together the best of both singers in a new wave, Sting-esque package: the quirky guitar-tinged pop of Shakira and the reggae beats of Rihanna. It’s certainly a welcome change from EDM and the lyrics are very Rihanna-appropriate (“I go back again, fall off the train, land in his bed, repeat yesterday’s mistakes”), but the simple guitar-heavy chorus hooks are more annoying than catchy. It’s proof that, not only are these two artists better off separated, but the best Shakira duet is still Beautiful Liar with Beyoncé (of course). Listen: Can’t Remember To Forget You is released tomorrow (January 14th). I’ll tell you who you can rely on – Pharrell Williams. The pair wrote and recorded Can’t Rely On You together in Miami and Williams’ influence is clear in the funk R&B feel. Faith croons over the cowbell beat like a female Robin Thicke or Justin Timberlake, though the track maintains her penchant for high drama – from her impassioned vocals, to the spoken Italian that bookends the track and the period styling of the video. 2012’s ‘Fall To Grace’ was one of the biggest selling albums of the year. Yet with forthcoming release ‘A Perfect Contradiction’, Faith is moving away from the overwrought ballads to her more soulful roots. It’s apparently “the most upbeat Paloma has ever made”, so should be one to look out for. Listen: Can’t Rely On You is released on 23rd February, with the album to follow on March 3rd.